Work starts on brand new Red Dwarf! Well, it's been a long time coming. Three years, three months and ten days, to be precise: for it was on 19th June 2012 that post-production of Red Dwarf X was completed. But now, finally, Red Dwarf has entered production again. Well, pre-production, we should say. The show isn't officially in "production" until it actually goes before the cameras, and that's not happening for another six weeks. 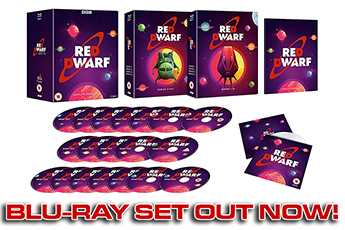 But right now, Red Dwarf XI - and, lest we forget, Red Dwarf XII - is an actual work in progress. When we finally come out of the other side of this process, we'll have twelve brand spanking new episodes of Dwarf, increasing the show's size by a whopping twenty per cent. And if you missed them, Richard also tweeted a couple of photos from location scouting earlier this month. 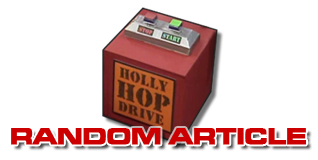 Of course, we've no idea if these places will show up in the upcoming episodes, but... well, they certainly have a very Red Dwarf kind of feel about them, don't they? As you'll know if you kept up to date with our news on the audience ticket allocation, the first of the twelve episodes goes before cameras on Friday 13th November 2015 - although as was the case on Series X, there will likely have been some material shot during the week, prior to the live audience night. The remaining five episodes of Series XI will be filmed over the following five weeks, wrapping up just in time for Christmas on Friday 18th December. Then after a well-earned break... it's back to the studio to start all over again, with six episodes of Series XII being recorded between Friday 29th January and Friday 6th March. 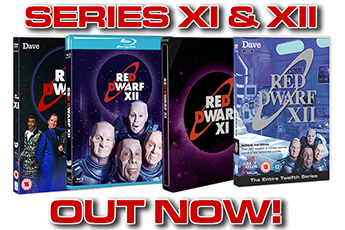 When all twelve episodes have been filmed, then the long and complicated post-production process will begin, with the aim being to have Series XI ready for broadcast later in 2016, and Series XII to follow in 2017. And of course, along every step of the way we'll bring you updates on exactly what's going on right here on reddwarf.co.uk. Red Dwarf XI comes to Dave in 2016!